NIAGARA-ON-THE-LAKE, ON – The Exchange Brewery has announced that the first in a rotating series of sour beers is now available at the LCBO. The Exchange’s β Brettbier showcases the collaboration of wheat, spices and wild yeast. It’s fermented with a blend of multiple Brettanomyces cultures for a fruity and funky take on the traditional witbier style. It has subtle spice on the nose, complimented by esters of tropical fruits from the Brettanomyces. Light straw colour and with a light funkiness, this brew is a great refreshing crowd-pleaser that holds enough complexity to appeal to sour beer aficionados. 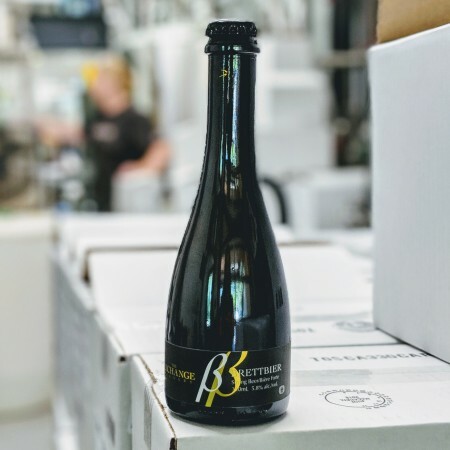 β Brettbier was launched earlier this year on draught in the Exchange Brewery taproom, and is now available in 330 ml bottles at select LCBO stores in Ontario. It will rotate out of the listing and be replaced by Peach Pi in the autumn, and Flanders Red in early 2019.